Renown Argentinian psychotherapist, psychodramatist, and writer, Jorge Bucay, is on his first visit to Bulgaria Tuesday. Bucay arrived Monday evening, after being invited to take part in the “Plovdiv Reads” festival, held in Bulgaria's second largest city under the patronage of President, Georgi Parvanov. Parvanov met with Bucay Tuesday and told the writer the publishing of each one of his books is a huge cultural event in Bulgaria and his presence at the festival will increase Bulgarians' interest towards books and reading. 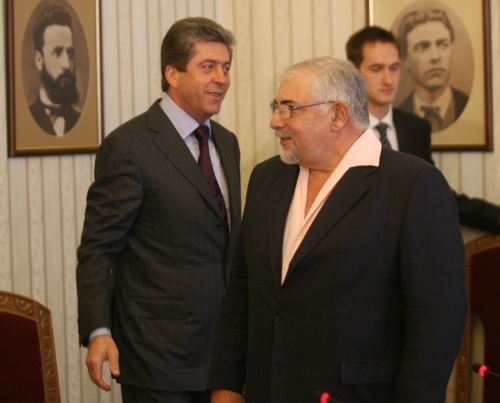 Parvanov thanked Bucay for agreeing to come to Bulgaria to which the writer replied that he is ready to do anything to support reading initiatives. “A large Bulgarian community lives in Argentina and it is a true honor for me to be invited to Bulgaria,” the famous writer pointed out. Bucay's books have sold more than 2 million copies around the world, and have been translated into more than seventeen languages. » Does Bulgaria's President Have an Easy Job?